Mark Holbrow '74 poses with a tool of his trade. Photo by Bob Krist. He didn't know it then, but when Head Fencing Master Mark Holbrow '74 founded Dickinson College's fencing club, he sparked a healthy obsession for generations of Dickinsonians and a lifelong passion for teaching that led him far from his original career path. Holbrow, who had been fascinated with swordplay since catching his first Errol Flynn movie at age 8, began fencing lessons in high school. He transferred to Dickinson in 1972 as an English major, his sights set on eventually obtaining a law degree, and started the college's fencing club at the start of his senior year. "I had a literature and theatre background, so the history and romance of fencing are what originally drew me to it," he explains, speaking by phone from the 2012 U.S. National Fencing Championship in Anaheim, Calif. "But the more I got into it, the more I realized just how physically and intellectually demanding it is. And I was intrigued by that. I wanted to keep fencing." The experience of starting his own club was so satisfying that, eight months into the game, he had a new inclination: to skip law school and found his own fencing academy. "That was an interesting call home," he recalls of breaking the news to his parents. "There was a long pause. Then they just said, 'OK.' "
Holbrow soon learned that to be certified as a fencing master by the U.S. Fencing Coaches Association, he would need to cultivate the patience and persistence of a master of Zen. The new Dickinson grad studied for seven years under Princeton University Fencing Master Stan Seja, working by day in a local engineering office. The job, which began as an errand-running post, soon escalated into a challenging drafting position, and Holbrow singlehandedly designed Flagtown, N.J.'s sewer system. But as much as he enjoyed the work, his heart was otherwise engaged. Holbrow competed as a member of the U.S. team that competed in the World Fencing Masters Championships in Stuttgart, Germany, where he took the bronze medal for the U.S. in the sabre team event. And, after four years of study with Seja, he was hired as Princeton's assistant fencing coach. Teaching under his mentor's watchful eye, Holbrow sharpened his skills and prepared for the exhaustive U.S. Fencing Coaches Association exams that would qualify him as a master instructor. "It was pretty arduous stuff," Holbrow recalls, describing the practical exam as "an all-day inquisition." Holbrow also produced a written thesis, performed fencing and teaching demonstrations before a board of examining masters and took a written test on fencing theory and international interpretation of fencing rules. And, according to American and European fencing protocol, after completing each of these tasks to the panel's satisfaction, he achieved the title of "provost," or apprentice-master. He then waited one year before completing the process successfully all over again. Only then was he dubbed "fencing master." "It would have been far faster and easier if I had decided to stick with the law and take the bar exam," he admits with a laugh. 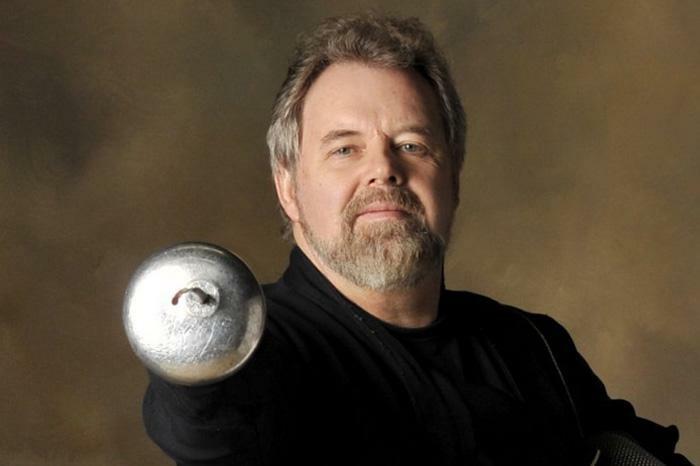 Newly certified, Holbrow founded the Bucks County Academy of Fencing in 1981, settling into the village of New Hope, Pa., an hour north of Philadelphia. In 2003 he moved the school to a 10,000-square-foot former factory complex in adjacent Lambertville, N.J. Built over a running stream, the facility housed 14 Olympic-sized fencing strips, each about 40 feet long and 5 feet wide. A natural disaster threatened the business last August, when heavy rains from Hurricane Irene flooded the creek beneath the academy. But the school found refuge in a church basement in New Hope while the building was repaired, and today, it again resides in the Lambertville factory complex. Holbrow even opened a second location in Hatfield, Pa., about 45 minutes west. The maestro, who employs nine part-time instructors, continues to teach, thanks, in part, to his wife, Lisa Martini, who oversees marketing, operations and business matters, allowing Holbrow to concentrate fully on his students, who range from age 8 to 70. Over the years Holbrow has trained national fencing finalists and has taken part in the U.S. Fencing Association's black-star elite-coaches program, an honor reserved for coaches whose students place in the top tier of the national point standings. In June he and Martini attended a fundraiser for the U.S. Olympic fencing team, where they bade good luck to former student Dagmara Wozniak, a Beijing Olympics fencer and Senior World Cup medalist who will compete on the 2012 Olympic team. At 60, Holbrow is gratified to note that because fencing is as much about strategy and experience as it is about athleticism, devotees often continue to spar and compete into old age. The secret to his continuing success in the field, he says, is his willingness to keep learning. "It's always been my mantra that the true master must always be in the mind of the beginner. So I've never gotten comfortable with the idea that I know it all," he says. "That keeps my eyes open to new things, and I'm constantly re-evaluating and learning … It's just been a wonderful life so far, and I will continue to keep doing this for as long as I possibly can."